Pivotal Cloud Foundry and Redis Labs collaborate to deliver the Redis Enterprise Tile on Pivotal Network. 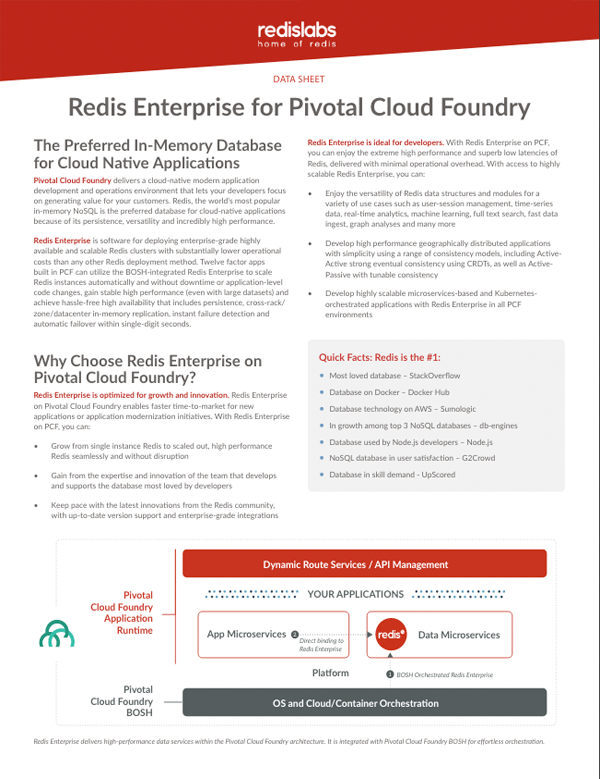 Pivotal Cloud Foundry users can now build and deploy world-class enterprise applications with stable high performing highly available Redis Enterprise from Redis Labs. The integration allows unified access and one-click deployment of the Redis Enterprise Tile from Pivotal Network.